Gaining access to gated communities can be problematic for emergency responders. 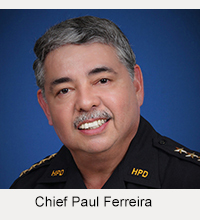 Working in collaboration with gated communities around the island, the Hawai‘i Police Department has developed a solution to provide law enforcement with immediate access into gated communities during times of emergency. The estimated 200 gated communities across the island use various methods to control access, and it is impractical for emergency responders to carry keys for every lock or keep track of every combination. Some attempts to do so in the past have resulted in police personnel being substantially delayed when communities changed their lock or reprogrammed the combination without informing the Police Department. Working together with gated communities, a solution has been agreed upon to standardize access by utilizing radio-controlled gate openers. Once a community installs the system, police officers will be able to open the locked gate with their police radios. This technology allows for immediate access by police personnel during an emergency, while continuing to provide security and prevent unauthorized access by those other than residents. Each community association that wishes to utilize this technology will be responsible for purchasing, installing, programming maintaining and repairing the radio-controlled gate system. The Police Department is equipped to use the technology with its existing police radios and will not incur any additional costs associated with the implementation of this new access system. Chief Harry Kubojiri said he is grateful for the participation of the community associations in reaching this agreement. “It has always been our goal to work in partnership with our communities to address and resolve problems that affect public safety. 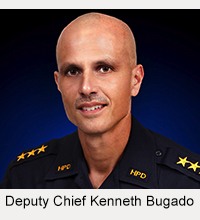 Police want to provide residents and visitors alike a safe place to live, visit and conduct business while on the island of Hawaiʻi,” Kubojiri said. Participation by gated communities in this program is strictly voluntary. The Police Department will continue its practice of not storing keys and/or recording individual combination lock numbers for these gated communities. To participate in this program, a gated community association must designate a contact person and have an authorized representative sign a Memorandum of Understanding (MOU) with the Police Department. The MOU sets forth the responsibilities of both the gated community and the Police Department with respect to the radio-controlled access system.